Join Us in Welcoming the Healthcare Simulation's Newest Born! Measuring only 35cm long and weighing less than 1000g, Paul is the most accurate recreation of a preterm baby born in the 27th week of pregnancy. Overwhelmingly praised by neonatologists and NICU nurses for his highly realistic anatomy and convincingly lifelike features, the Paul High Emotion simulator has already become Europe’s favorite new manikin. Designed specifically to improve the realism and learning outcomes of your NICU/PICU training program, Paul will transform your simulations beyond high-fidelity into high emotion. Current preterm simulators do not do enough to convey realistic patient experiences, leaving your participants to imagine a high fidelity relationship which minimizes their learning opportunity. 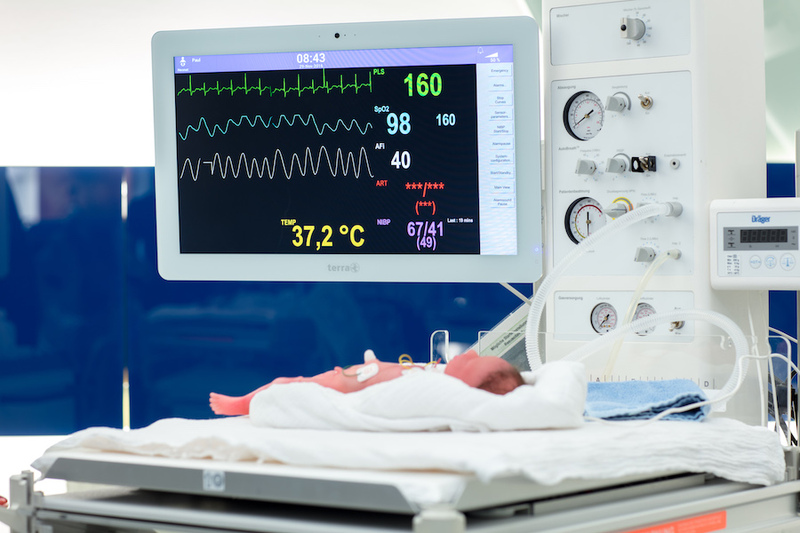 Research has shown that more realistic simulators provide improved learning outcomes – and with 1 in every 10 births being preterm – shouldn’t your specialized department be the most prepared possible? Paul moves beyond high fidelity with new technologies never seen before in healthcare simulation… even in adult sized patient manikins. 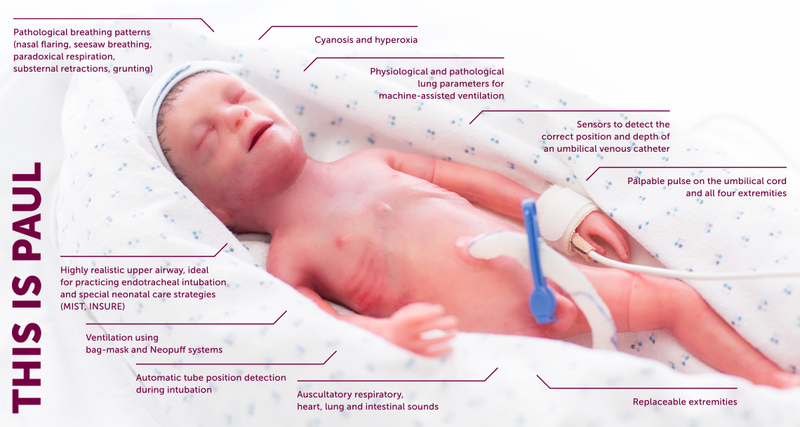 When teaching new healthcare professionals about preterm care, experienced neonatologist and SIMCharacters Founder Dr. Jens Schwindt was deeply concerned by the limited pathologies and unrealistic anatomy offered by modern day preterm simulators. Determined to improve the outcomes of more than 15 million preterm births a year, in 2012 Jens founded SIMCharacters. Innovating beyond the limitations of high-fidelity simulator technology Paul was developed by a team of experts in the fields of neonatology, software development, mechanical engineering, Hollywood special effects design, and animatronics. Today Paul provides next generation preterm simulator features including an anatomically correct 3D printed larynx based on real-life preterm MRI scans, physiological and pathological breathing patterns, highly realistic internal and external anatomical structures, and convincingly lifelike clinical practice features. With Paul, SIMCharacters is taking the next step in the future of medical simulation. High fidelity was yesterday – the future belongs to High Emotion Simulation. Jens and the SIMCharacters team know that creating High Emotion Simulation requires understanding and empathy with the teams, families, and programs caring tirelessly for preterm newborns. Pathological breathing patterns (nasal flaring, paradoxical respiration, substernal retractions, and grunting).